The University of Antwerp and Imec have become the first institutions in the Benelux, the area in Western Europe that includes Belgium, Netherlands, and Luxembourg to install the NVIDIA DGX-2 system. “We’re going to make enormous strides in terms of processing power”, says Steven Latré, professor of computer science (Antwerp/imec). “This new computer can handle up to two petaflops of calculations per second. One petaflop amounts to 10 to the 15th power or a quadrillion. That’s a number we can barely wrap our human heads around. The new system will be used for tackling challenges in AI and machine learning, including efforts to fight Malaria. 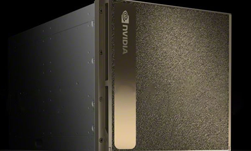 The NVIDIA DGX-2 system is equipped with 16 fully interconnected NVIDIA V100 GPUs.